Do you ever feel like getting rid of the extra weight of your body? If you do, it‟s quite normal because wrongdiagnosis.com states that more than 97 million American adults suffer from this same problem. People think that greed is its main cause, as they do believe that the more you consume, the more you get extra weight. The American society is seriously leaning towards the aspect of loosing weight. They are going from pillar to post to be endowed with a new way to weight loss. One can get several ways to loss weight without any serious problem and then they feel free to wear gorgeous dress in order to live up to the date on Friday night or to play golf happily. 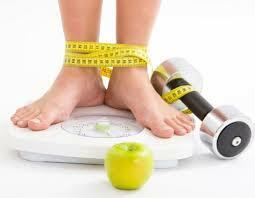 Most of us now have a bias towards dieting and they often face weight loss badly. When you are going for something whole-heartedly and don‟t get a satisfactory result, it really irritates and then disappointment starts creeping in. So, in order to have weight loss, make a proper plan. But, you need to bear in mind that it might not work and you have to start again. It was primarily believed by some particular nations but this view has now been accepted by The World Health Organization that cases of overweight, obesity, diabetes, heart disease, stroke and hypertension are on their way to increase at an alarming rate, especially in the developed Western world (mainly the United States of America and in the United Kingdom). Statistics denotes that the last 50 years have witnessed an increase in fatness (which leads to other problems) from nearly 7% of adults to about 35%. In fact, in the countries mentioned above, almost 50% of the adult population suffers from overweight. Many factors are there. Our primary intention here is to deal with weight control and give you an acquaintance with some ways that can be of aid for you to be in a perfect shape. It can be divided into two groups i.e. social and personal. Social reasons are important in order to make out the sayings of your dietitian or doctor about your eating habits. Whereas, personal reasons are immensely important to be aware of, for their impact in the realm of your eating habits and lifestyle.